Kwacha Mover is a money transfer service operated by Bayport Financial Services. MPS developed and implemented the system from concept to launch, based on a brief provided by Bayport’s Executive management. This was at a time when the only money transfer options available to the public were the internationally driven Western Union and Swift services. Kwacha Mover was conceived to be a local and affordable money transfer service that ensured guaranteed and consistent monetization each and every time the recipient collected funds. Within a period of 9 months, the service has surpassed Western Union as the primary over-the-counter money transfer service in the country, meeting the targets set out at project inception. 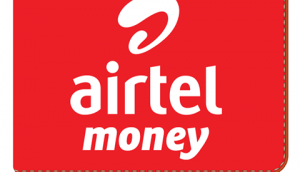 Airtel Money is a mobile wallet service operated by Airtel. As the primary 3rd party merchant aggregator, MPS played a key role in the roll- out of the service, developing the protocols and data interchange APIs for the service’s bill payment functionality, when the service was still under ZAIN. MPS has continued to work with Airtel Money, collaborating on projects such as ABT’s AIRS amongst others. 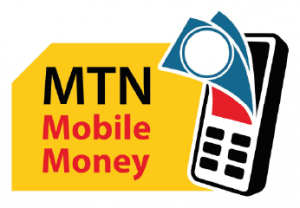 MTN Mobile Money is a mobile wallet service operated by MTN. In a similar way to Airtel Money, MPS served as a primary merchant aggregator, providing the payment processing infrastructure for more than 75% of the bill payment transactions on the service. This partnership has provided MPS with valuable insight into the industry’s dynamics, both from a consumer uptake as well as a provider’s marketing and roll-out strategies. MPS continues to enjoy a good relationship with MTN, collaborating often in the implementation of services to the corporate market. In 2011, Investrust Bank Plc commissioned MPS to implement and deploy mobile banking services. MPS designed, implemented and executed the project to launch. Additional projects included the payment processing of FRA farmer payments, a project that MPS ran successfully too. Lusaka Water & Sewerage Company (LWSC) is the largest water utility business in the country. The utility company faced revenue collection and assurance challenges, operational inefficiency in its reconciliation processes, as well as consumer dissatisfaction due to billing transparency constraints. MPS analysed the issues, and deployed our UtiliPay Payment solution, which provides for the real-time crediting and querying of customer accounts for both electronic (mobile via Airtel and MTN Money) and over-the-counter payments via our MPOS extension to the gateway. The MPOS units have been successfully deployed in the peri-urban areas of Lusaka, greatly reducing operational overheads and overtime costs. Nkana Water & Sewerage Company (NWSC) is the second largest water utility company in the country, providing services in the greater rea of Kitwe. The challenges faced by NWSC were similar in nature to LWSC, and MPS have deployed the UtiliPay Payment solution at NWSC as well. Payments received via the electronic channels are credited directly to the target account on the NWSC billing system. NWSC have also expressed interest in the MPOS extension of the gateway, which will allows them receive and credit payments in real-time, in much the same model as their counterparts in Lusaka. ABT implemented the Africa Indoor Residual Spraying Program (AIRS). The overall goal of the AIRS Project is to conduct a safe and high- quality spraying program and establish the foundation for sustainable, effective, high-quality IRS activities in the assigned PMI and DFID Districts in five (5) provinces i.e. Eastern, Northern, Luapula, Central and Muchinga Provinces. This project is conducted in partnership with the National Malaria Control Program (NMCP) through the Ministry of Health (MOH) and Ministry of Community Development in Zambia. Mobile Payment Solutions developed the electronic payment processing strategy for ABT, and successfully operated the service for the first two years. Using the IBPS, payments were made directly to the sprayers engaged by the project, with 100% success rate on reconciliations.